Drop down menus OILS : Sunflower Oil, Palm Oil, Corn Oil, Soybean Oil, RICE; SPICES : Black Spice White spice; Other SPICES Sunflower Oil is healthy, natural and is produced from Sunflower Seeds Oil. 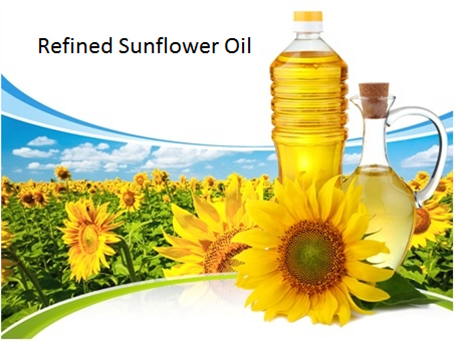 Sunflower Oil is light in appearance and taste. It is good source of vitamin E comparing to other vegetable oils. It is consisting of polyunsaturated and mono unsaturated fats with very low levels of saturated fats In cooking it is valued for its light taste, health benefits and frying performance.